A skydive is something I have always wanted to do. It was completely out of my comfort zone and a once in a lifetime challenge, so I thought why not sign up to raise money for charity at the same time? 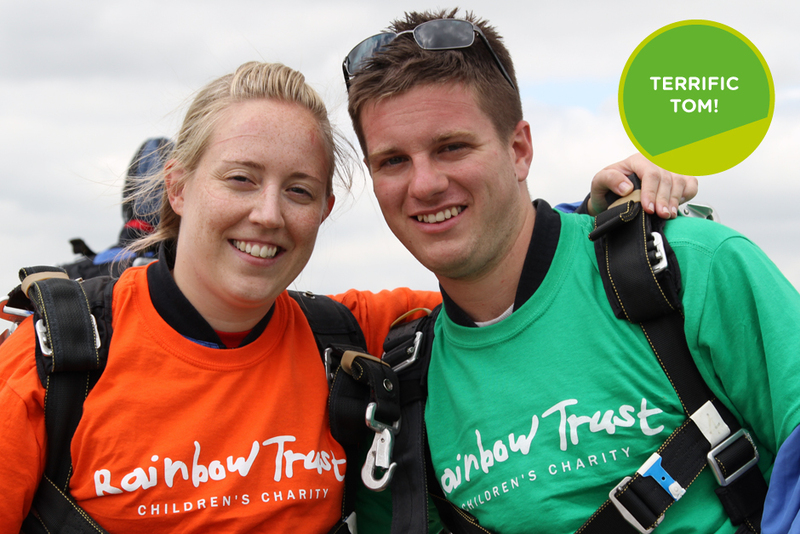 I’d heard of Rainbow Trust through a member of my family and I decided to sign up for their Jump in July campaign in 2013. I wanted the challenge and signed up! I signed up in April to ensure I had time to reach my £500 fundraising target, but I was determined to smash it and being the Assistant Manager of a pub I knew plenty of people that I hoped would help me to do that! I asked Rainbow Trust for some collection tins which I placed on the two bars in the pub and they also designed me some personalised posters to put up to let people know what I was doing. Although the collection tins filled up very quickly, there’s only so far that collecting loose change will get you, so I decided to organise a charity football match to bump up my sponsorship. I called on all my mates and regulars at the pub and asked them for a £10 entry fee each, which more than covered the hire of the pitch. I stuck a banner up on the fence and let everyone know what the money was going towards. It was really good fun and the lads came back to the pub afterwards where we put on a BBQ and got the collection buckets out and collected even more towards my total! The pub’s management were really supportive. Inspired by Tom’s adventure? Sign up to skydive this Summer and experience it for yourself. ​Did he do it? Yes!